The 2019 CAFWB Men’s Retreat is schedule for February 21-23 at Silver Spur Christian Camp in Tuolumne, CA. Our featured speaker is Don Matchett, Director of Church Relations for IM, Inc., the Free Will Baptist International Missions Department. 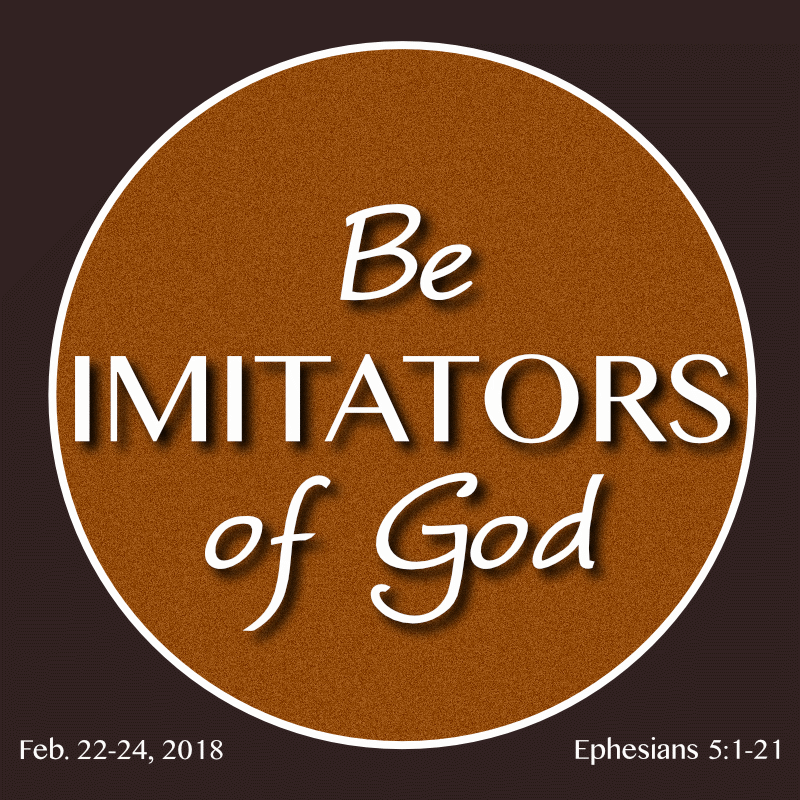 Join us February 22-24, 2018 for our annual Men's Retreat. We are moving to NEW venue this year, Sugar Pine Christian Camp, near Oakhurst. The facilities are phenomenal and I know our men will appreciate the improved amenities Sugar Pine provides, including more electrical outlets in each room! And, depending on the weather, Sugar Pine offers a ropes challenge course and paintball (at an additional expense). We are pleased to announce that Jason Taylor, Lead Pastor at The Vertical Church in Yuma, AZ, will be the speaker for this retreat. Jason is a husband, a father and a writer ("Risking Crazy" and "Walking in Power"). The cost for each man starts at $145 per man, for basic cabins, or $155 per man for upgraded cabins/rooms (more details to come). We will share more information in the coming months as we work with our new venue and as we try to grow this event for the glory of God and the benefit of the men who follow Him. In 2018, the California Association of Free Will Baptists will celebrate 75 years of service for the The Lord. 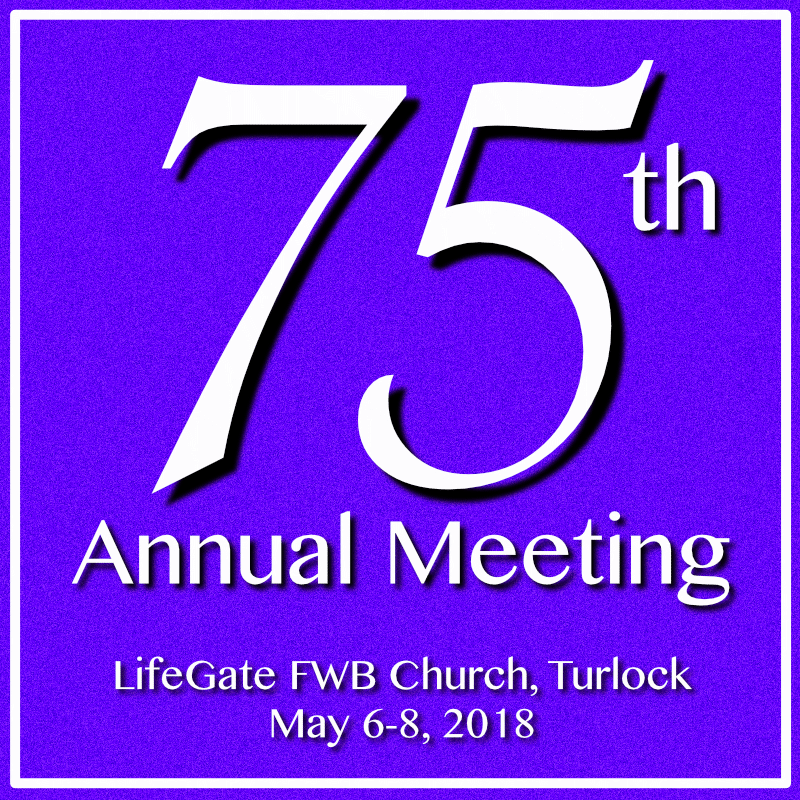 Make plans to join us May 6-8, 2018 in Turlock, at LifeGate FWB Church, where the State Association held it's very first meeting.